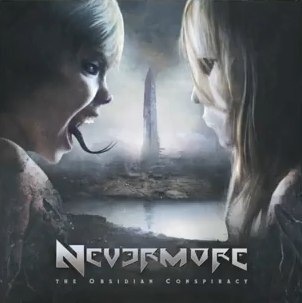 I’ve just been checking out the new album, The Obsidian Conspiracy, by Nevermore. If you are not familiar with Nevermore then they are well worth checking out, particularly if you like your extreme music progressive. The band don’t really fit into any particular genre of extreme music as, to me, they sound totally trans-genre. My, oh my, can this band play! Let’s check a bit of Jeff getting all shreadtastic at Musikmesse Frankfurt 2010. Cool!